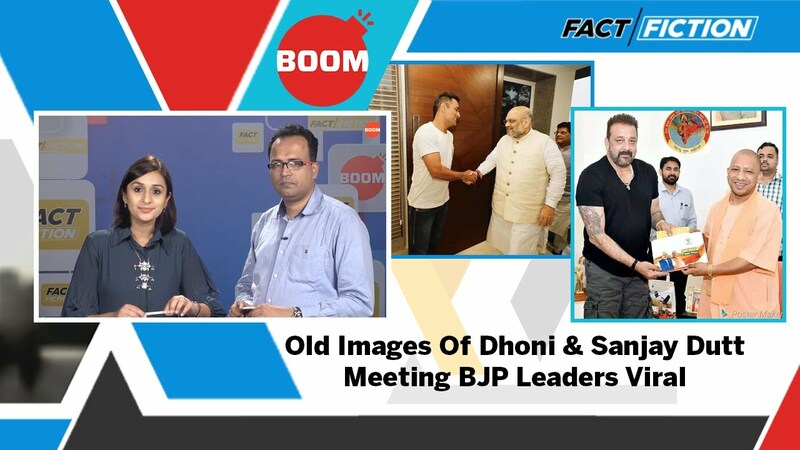 Old photographs of cricketer Mahendra Singh Dhoni and actor Sanjay Dutt meeting Amit Shah and Yogi Adityanath respectively as part of the Sampark For Samarthan campaign have resurfaced with false claims of them joining the Bharatiya Janata Party (BJP). In two separate viral Facebook posts, fans have been urged to welcome Dhoni and Dutt, as they join BJP and mark their foray into politics. 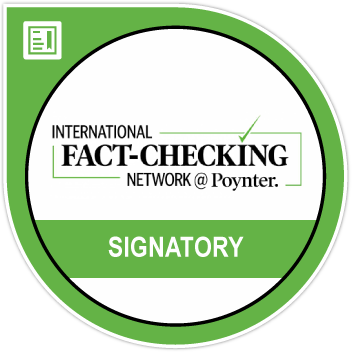 At the time of writing the article, the post had been shared more than 900 times. You can view the post below and its archived version here. Meanwhile Sanjay Dutt’s photo holding a pamphlet of the Sampark for Samarthan campaign along with the Uttar Pradesh chief minister Yogi Adityanath, has been captioned as “Bollywood star Sanju bhai also joined BJP” on Facebook. One of the posts can be viewed below and its archived version here. Incidentally, this is not the first time that rumours have floated about Dutt joining the BJP. In May 2016 several posts claimed that the actor would join BJP after he participated in party funded event. Dutt clarified on March 25 through a tweet that he isn’t contesting the polls and is in full support of his sister Priya Dutt, who is an active member of the Indian National Congress. BOOM separately tried to reach Dutt for a comment, however the actor has not responded. The article will be updated once he responds. BOOM also ran a reverse search on the image of Dutt with Yogi Aditanath and found that it was clicked when the actor met the UP chief minister in June, last year. They met as part of BJP’s Sampark for Samarthan campaign, at the chief minister’s residence in Lucknow. The photo was tweeted by Yogi Adityanath on June 9, 2018. Dutt in turn retweeted the photograph and thanked Yogi Adityanath for including him in the initiative. A reverse image search on Dhoni’s photo showed that it was taken on August last year, as part of the same campaign. Another photograph from the same event shows the former Indian captain with the similar poster that Dutt was endorsing. The same photo can seen in an August 5, 2018 tweet by BJP national president Amit Shah. The Sampark for Samarthan is a programme that began last year with an aim to reach out to personalities from various fields to generate awareness about the government’s achievements so far. Last week West Indies cricket player Chris Gayle was subject to one such rumour on social media which claimed that he would campaign for the BJP.